The (ERP) Shootout That Isn’t. Wow. 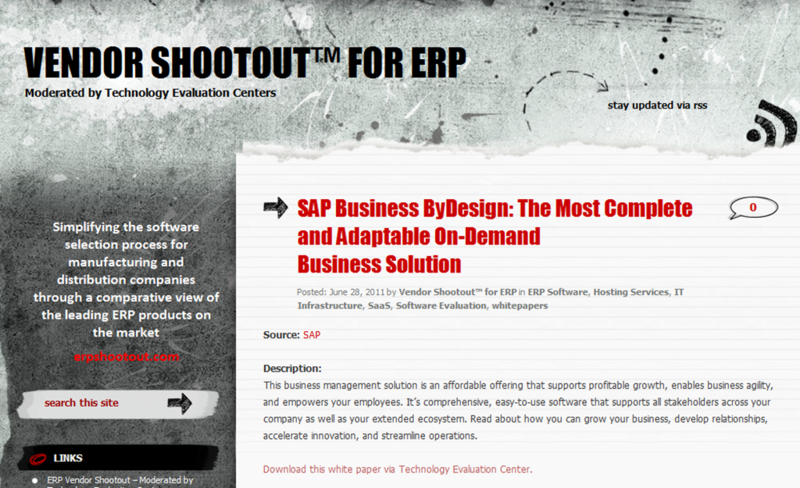 It looks like SAP’s SaaS offering, Business ByDesign won some competition, let’s check it out. streamline and optimize “…. yada yada yada. Too much marketing-speak for an analyst report, but keep on reading, perhaps we’ll get to the meat. Oh, boy. Naively I was thinking I’d be seeing some sort of analysis, biased as it may be – but this is pure marketing. In fact, on second reading there is nothing wrong with it – if I take it for what it is: a marketing brochure. Published by SAP, quite the right material when downloaded from SAP’s site. Just not a report, certainly not analysis, and does not belong to a site that claims to help buyers with their software selection process. Help buyers by presenting them with preselected options – of the vendors who pony up. 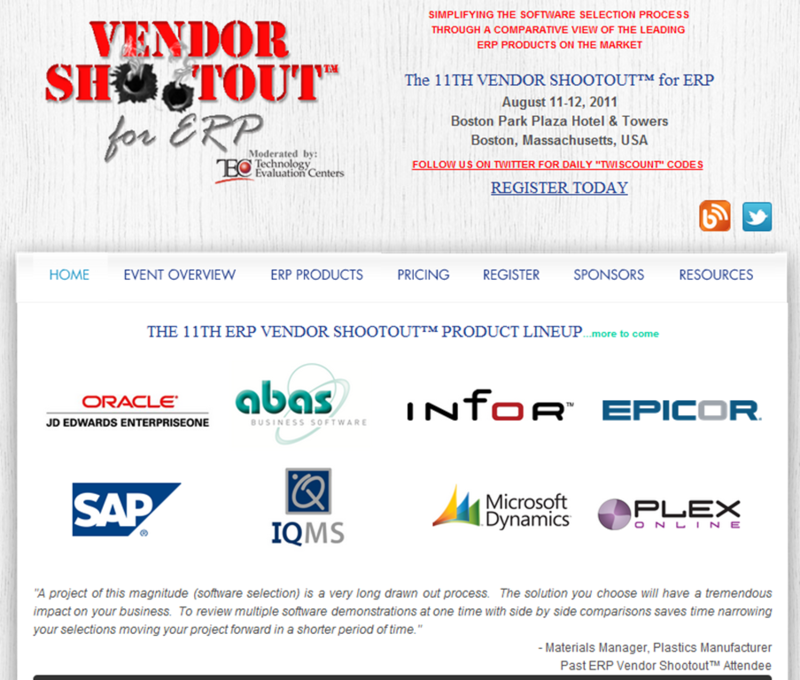 Yes, the ERP Shootout is Pay for Play. Which is all right, after all. There is nothing wrong with organizing a showcase for vendors why buy their stay presence. It’s the positioning I dislike. 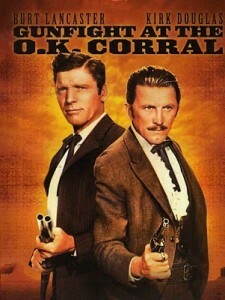 Buyer side it ain’t, selection it ain’t.. shootout it ain’t. Don’t get me wrong, SAP’s Business ByDesign is actually a good product, after repeated false starts it is now getting real traction – they don’t need this type of promotion. Sometimes it swims like a duck, quaks like a duck, yet it’s still not a duck. I fell for the same trap. What a waste of time. I would think SAP is better than this but maybe not. I did later find a helpful SAP review at http://www.crmsearch.com/sap-review.php. How can it be that this report can make it through the ranks of the marketing department without someone yanking it out? Just wait until you have 20 vendors calling and emailing you to explain why you need to purchase their ERP software. However, since I aid and abet these pay-per-play services, I better be careful how many stones I throw.